Tropical Fish Keeping - Aquarium fish care and resources > Freshwater Fish and Aquariums > Freshwater and Tropical Fish > Characins > Please help me identify what fish my mom bought. Please help me identify what fish my mom bought. My mom bought some fish without me. The store employee told her that the fish were plecos that would grow to 3-5 inches. 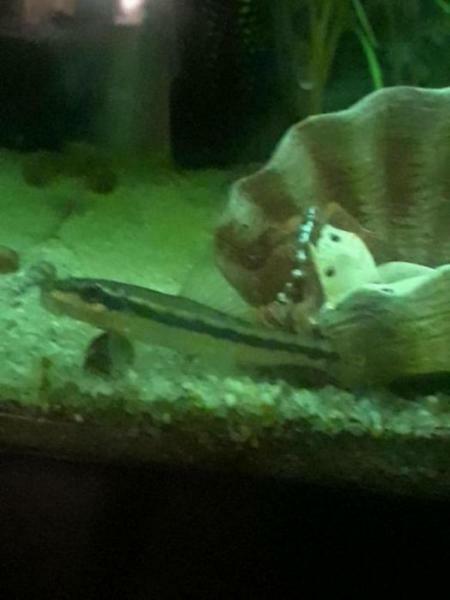 Unfortunately, they are definitely not plecos. These fish are a little bigger than the fish I typically have an interest in keeping, so if there is anyone knows what these fish are, that would be awesome, I want to make sure the set up for her tank is appropriate for the fish. 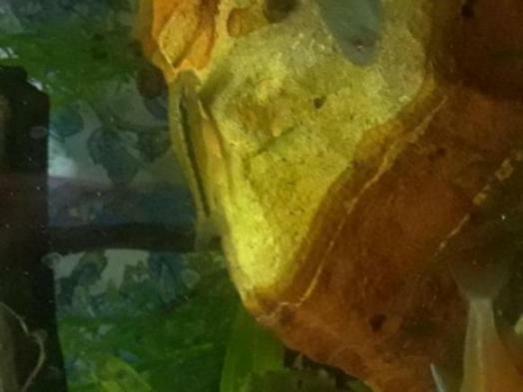 The fish behaviorally seem to stick closely to the bottom of the tank and sometimes climb up the glass. They seem to move around with some energy at sports and interact by chase each other around a bit. I don't think the bars show very well in the pictures. I think they look similar to SAE but the mouth did not look right to me. It seems to have a bit of a sucker mouth. I attached some pictures, unfortunately I am not a good fish photographer and the fish were not the most cooperative. I'm guessing the Chinese AE. They get a good size... half a foot + and you may have issues with them sucking slime coats. Otos would be a better exchange. They school nicely.